Bethesda 365 » DAY 2: Dinosaur Spotted in Bethesda! DAY 2: Dinosaur Spotted in Bethesda! Look carefully...there's a dino there. 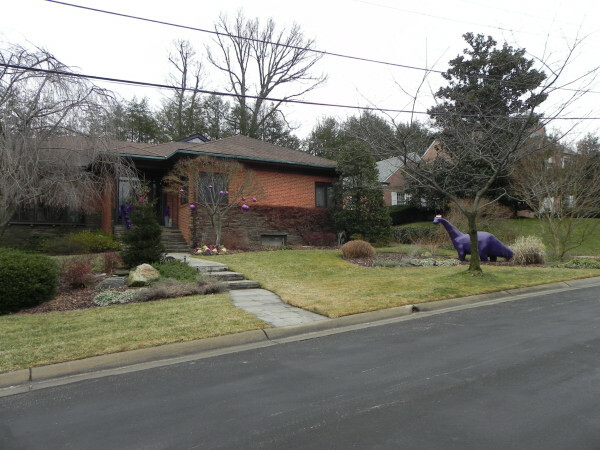 A purple dinosaur was spotted grazing in Bethesda on the front lawn of a home in Kenwood. If you’re out and about today – perhaps visiting open houses – you MUST stop by Radnor Rd. 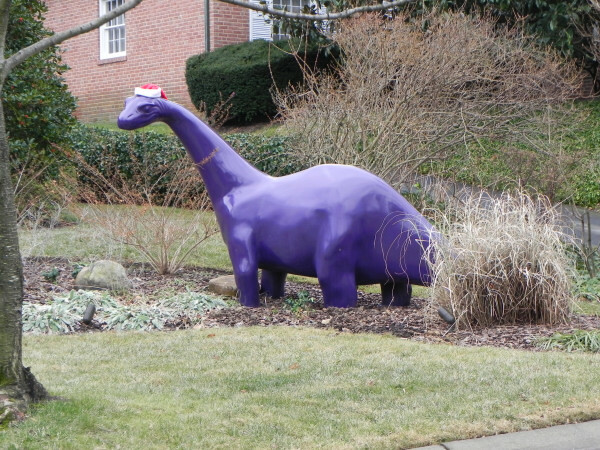 off Goldboro and say hi to…Bethesda Barney! 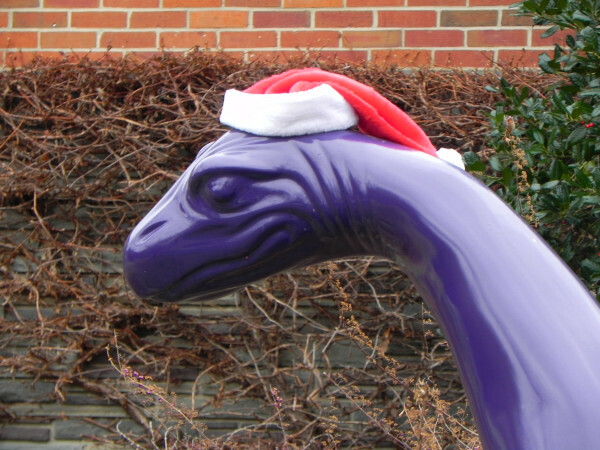 He is a festive fellow, even donning a Christmas cap for now. This may be the only place in the country where you can find an Apatosaurus (formerly known as Brontosaurus) in the yard. Don’t worry kids, he’s a plant eater. This is perhaps the most unique lawn art Brian and I have encountered in Bethesda – or anywhere else for that matter! Enjoy! This entry was posted on Sunday, January 2nd, 2011 at 2:24 pm and is filed under Kid's Stuff. You can follow any responses to this entry through the RSS 2.0 feed. You can leave a response, or trackback from your own site.